​Before each session, Stacy prays for assistance from her client's Guardian Angels as well as her own to help deliver messages from her client's soul & spirit via the cards that are pulled. 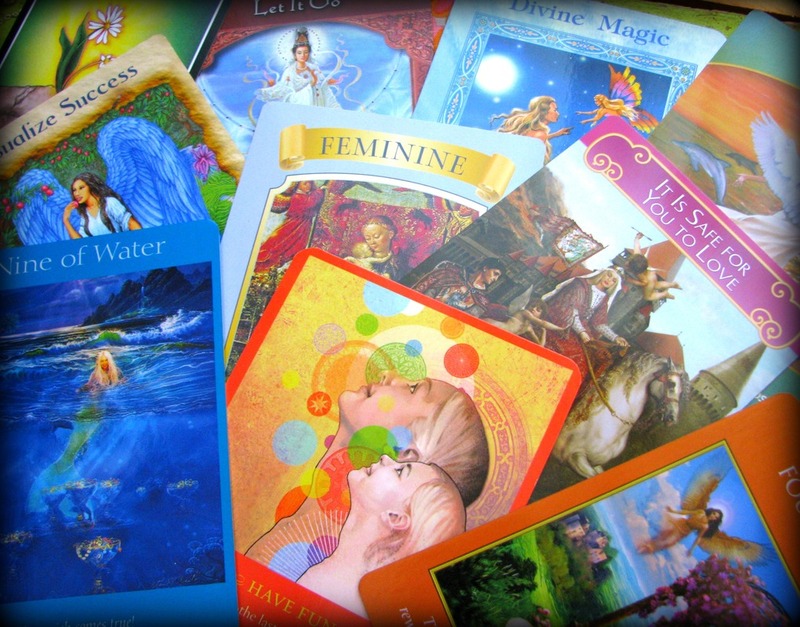 Stacy has a large variety of Oracle and Tarot cards. All the cards act as a "tool of communication" from the client's own inner Higher Source on a very specific question or a general "how am I doing now?" reading. Stacy believes that the cards tap into her client and reveal in the physical form the answer to their question ~ via the cards. Stacy will tell her client what she intuitively feels as she reviews the cards she flips for them. During the session, her clients are welcome to speak up and chime in. Using her life coaching skills, Stacy's readings are always positive, insightful, enlightening, and helpful. Her clients find them very on-point, timely, and valuable for their Life's Journey. ​What if I don't like what the cards say...can I change what happens? YES! Definitely. The cards merely show you where you are on your path right now. Want to change it? Then, change your course. It's that easy. It's all free will. Nothing is set in stone. Don't be afraid. Stacy's readings are positive. She will even give you suggestions based off of the cards so that you can grow positively. ​Stacy's Angel Card Readings are done over the phone or Google Hangout. So, you can be in the comfort of your own home or elsewhere. Stacy will gladly take a photo of your card spread and text or email to you either during or after your session. During Stacy's Angel Card Readings, she uses both her intuitive gifts and her life coaching skills to help you take positive action towards your happier life. Interested in Your Spirit and Soul's Message to You? Want to get a spiritual check-up? See where you are right now on your path? Or want to get insight on a particular question or issue? Contact Stacy for your Angel Card Reading today and see what your Inner Spirit & your Soul is saying to you.